While we could be content following our “kiddie d-day” as [Caleb Kraft] suggested. We know you can’t continue such an awesome Friday without trying to blow yourself up first. 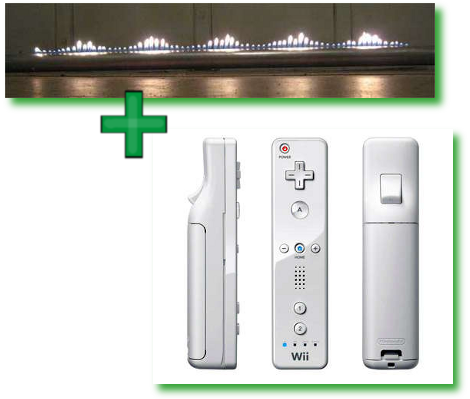 This Wiimote Rubens’ tube caught our eye. A PVC Aluminum irrigation pipe is drilled with holes and propane is pumped through. A speaker on one end creates changes in pressure and a neat light show follows suit. [ScaryBunnyMan] went further though, with a collection of software and a Wii Remote he “plays god” controlling the music, and thus, the fire. Check out a fun video after the split. This giant Madagascar hissing cockroach rides proudly atop his three-wheeled robotic platform. This project from several years ago is new to us and our reaction to the video after the break is mixed. We find ourselves creeped out, delighted, amazed, and saddened. 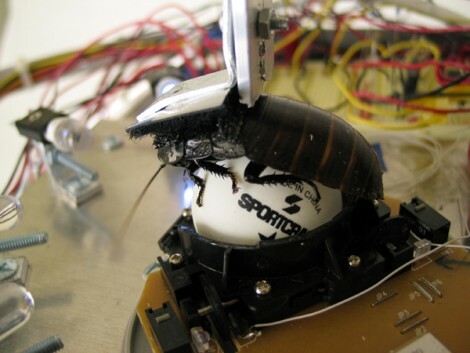 The cockroach controlled robot uses a trackball type input. A ping-pong ball is spun by a cockroach perched on top. The lucky or tortured (depending on how you look at it) little bug has an array of lights in front of it that illuminate when obstacles are in front of the robot. The roach’s natural aversion to light should make it move its legs away from that part of the display, thereby moving the robot away from the obstruction. We’ve seen some bio-hacking in the past. There were robots that run off of rat brain cells and remote controlled beetles. But none of these projects make us want to get into this type of experimentation. How about you? Reader [Osgeld] is a board-layout ninja. He populated this 4×4 LED matrix board without having a layout plan to start with. Watch it develop in slideshow format to see the art work he performs. The display is driven by a shift-register and he’s included all the proper parts like resistors and transistors, yet he makes everything fit. Why is this amazing? He’s using uninsulated wire and not a single one of them crosses another wire. He’s physically designing a printed circuit board, routing the traces as he solders away. 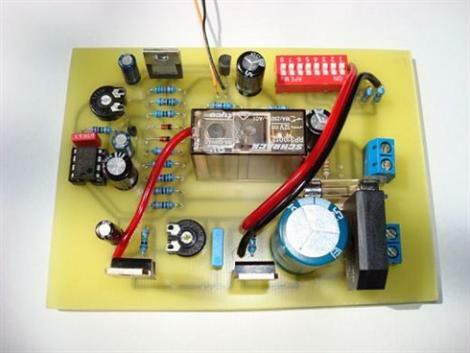 He’s built this to use with an Arduino shift register tutorial and our only question is where is the header to hook this board to a microcontroller? Hackaday’s [Caleb Kraft] has branded today “kiddie d-day” after seeing this PVC water gun follow close on the heals of the LEGO sniper rifle. This is a great summer project if you don’t mind letting the kids use the quick connect on your air compressor. It’s really just a ‘T’ made of PVC with two valves for air and water management and a soda bottle on the third leg as a reservoir. In the short clip after the break you can see that you don’t get a lot of shooting time out of each charge compared to the DIY Super Soaker, but this build is also a lot less complicated. [Razor] shares with us the plans for an intelligent battery charging circuit. Instead of blindly charging your battery into oblivion, this one shuts off once the battery is fully charged. It is a nice clean circuit that can be adjusted and fine tuned to your specific needs via some trim pots and dip switches. Seven-six-two millimeter. Full plastic jacket. Minifigs beware, something’s afoot. 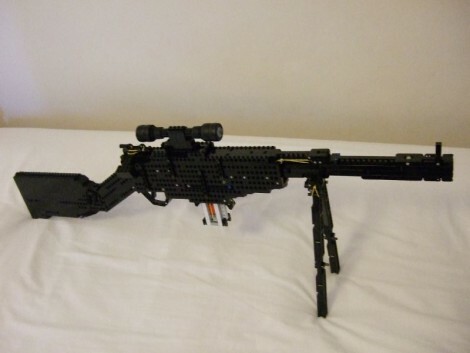 This LEGO sniper rifle is in talented hands to clean up those problem areas. [Jack Streat] put together this fascinating build as well as the delightful demo after the break. The bolt pulls a 1×4 block out of the eight-round magazine and loads it into the chamber. A pull of the trigger flings it with surprising accuracy. Want to be the coolest parent ever? Forgo the store-bought toys this year and put one of these together for your kid. Just don’t turn them into Private Pyle (NSFW).